AWARDS! – The Sun Shineth again! 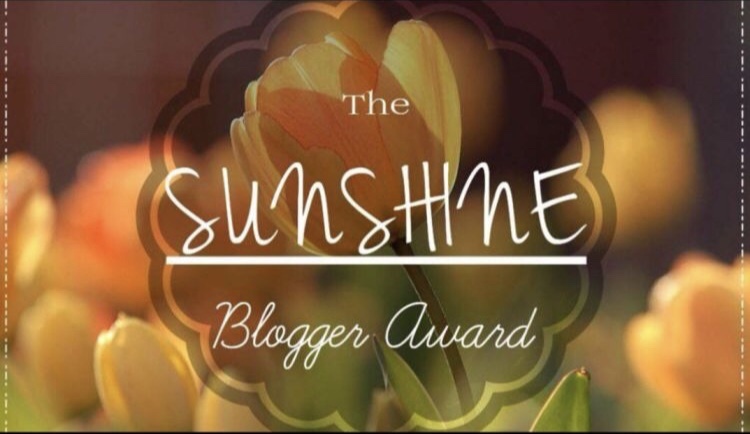 A big thank you to Mary, for the awesome nomination for the sunshine blogger award! I’m elated you found my blog befitting for such honour. Thanks again for all your engagement–they’re greatly and deeply appreciated! It’s a pleasure reading your blog, and do encourage my lovely followers to check her out! Her writings are just as amazing as she is! 2. Are you religious or spiritual?- I am spiritual. My relationship with God is not a rigid structured routine. He is a friend of mine! An awesome and amazing one at that! 3. Name 3 of your favorite things- I love nature. I love basketball. I love exploring new things…very spontaneous! Life is too short to remain in my comfort zone. There’s no fun in that. Yeah? 4. Would you call your eating habits healthy? Explain- Ah menh! The thing is, there are period where I am eating healthy and all, and then there are days where i’m just eating whatever that’s available. But, overall, my eating habits aren’t extremely healthy nor extremely unhealthy. Does that make sense? But I do try to balance it out with a healthy lifestyle. 5. Who would you consider to be your hero?– my six years old niece and my mother. 6. What is your favorite book?– I have quite a few it’s hard to pick. But momentarily, Same Kind of Difference as Me. 7. What is your highest level of formal education?–I do have a bachelors degree. Working towards doctorate, God’s willing. Pray for me. 8. What part of the world are you from? 9. Who in your life has been the most influential?–Hmm. 10. Explain one defining moment in your life.– The death of my loved one. It was very life altering. 11. When overwhelmed, what is your go-to?–Comedy + pure relaxation with a favourite snacks/meal. Or, I go for a walk/jog. If you had the power to change one thing, what would it be? How many and what other languages do you speak? What’s your favourite subject in school/University? What’s your favourite Disney/cartoon movie? Favourite snacks and where can I find them? Are you a daddy’s girl/boy or mommy’s boy/girl? Please, all my new followers especially, do partake in this. I am excited to learn more about you all! Do it!!! Previous One step at a time! Next I’m a hot mess! I love your answers. You and I sound very compatible. Spiritual indeed, religious people don’t know what it’s like to have a relationship for God the Father! Bananas, mangos, pineapple; 🤔 island fruits! Be blessed!